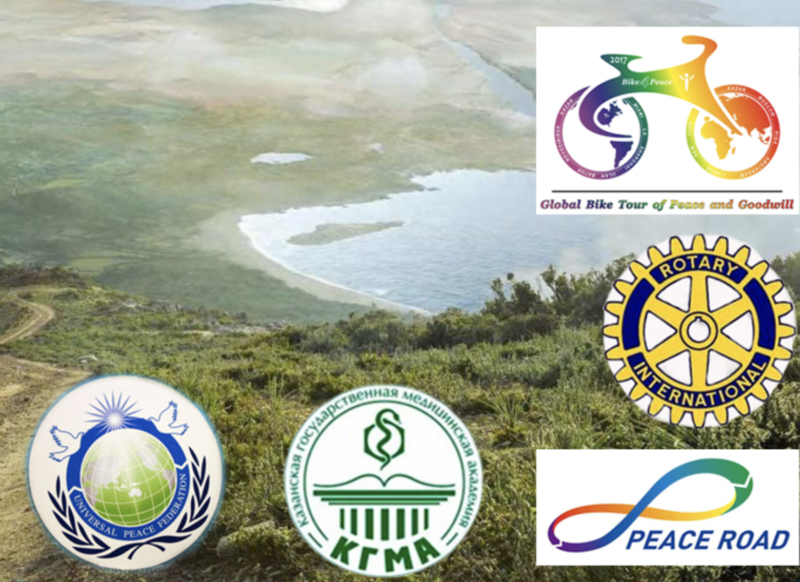 Some news from our Tatar member, Ildus Yanishev and his ‘global bike tour for peace and goodwill’. Since his departure in May 2017, he crossed Europe from Kazan (Russia) to Lisbon (Portugal), crossed Great Britain, then the USA, then a part of China and is now in Eastern Russia, near Khabarovsk. Once again, we are very proud of what Ildus is doing for peace, Rotary and cycling, proudly showing off his Cycling to Serve flag on his 56 kgs bike !! !